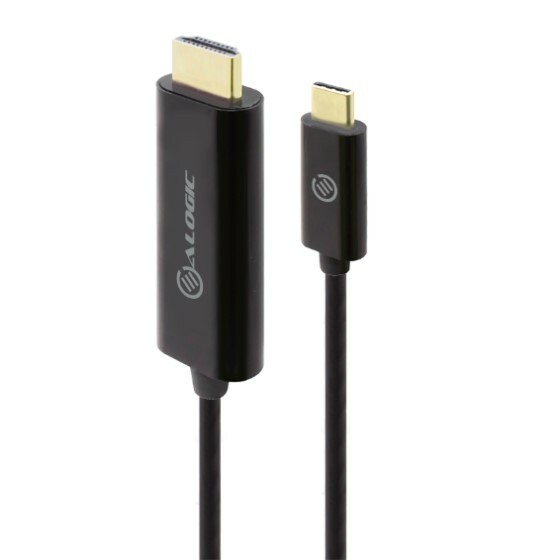 The ALOGIC Elements USB-C to HDMI Cable connects a USB-C (Display Port Alt. Mode)/Thunderbolt 3 enabled computer to a HDMI enabled monitor. The cable features the reversible USB-C connector so it doesn't matter which way you plug it in the cable will always connect.Easy to Use: Hassle Free Installation The cable eliminates the need of using an adapter or dongle to connect the latest USB-C (Display Port Alt. Mode)/Thunderbolt 3 computer to a monitor/projector/TV with HDMI Input ensuring a tidy and neat installation.Audio and Video: Ultra HD 4K Resolution SupportThe cable supports a maximum resolution of up to Ultra HD 4K making it suitable for the latest monitors and projectors. The cable will work with all USB-C ports equipped with DisplayPort (Dp alt Mode) or ThunderBolt 3 Ports.